Low cloud and light rain dominated the weather for most of the day. That didn't put off James Giles who is determined to complete his Bronze C this year (and about time say some). The classroom work included exam preparation and a review of the oral test for the Bronze C.
A busy training day at the airfield, and thanks Steve for your help. 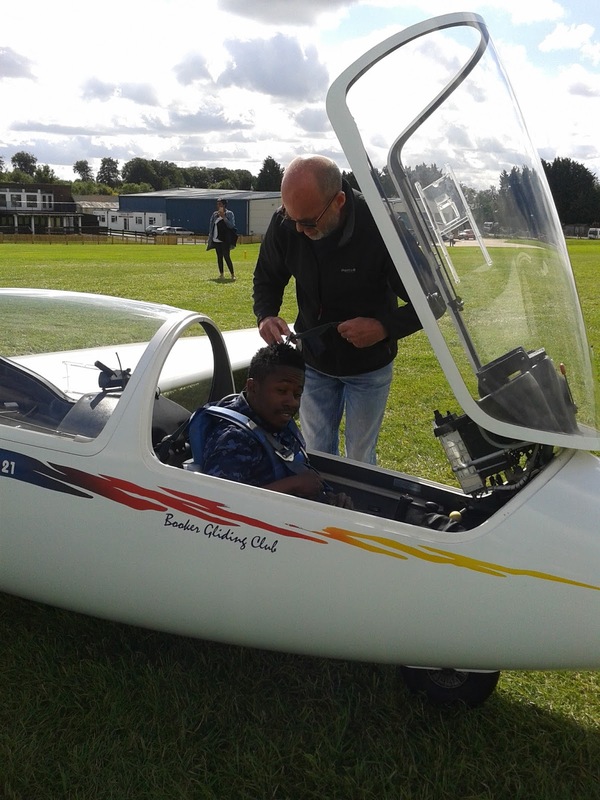 Denzil completed the last day of his course with another superb landing. Well done Denzil, we hope to see you again. Denzil lives in Goa so doesn't pop in that often. Maddi is now working solidly to get solo during her break. The day for her finished with a very well executed launch failure simulation. A steady flow of pupils, the soaring conditions improved later in the day, but too late to tempt the local pundits. The evening group took over late afternoon. Rocky wanted to make sure he didn't get wet if we had an unexpected rain shower! The end of another great day. 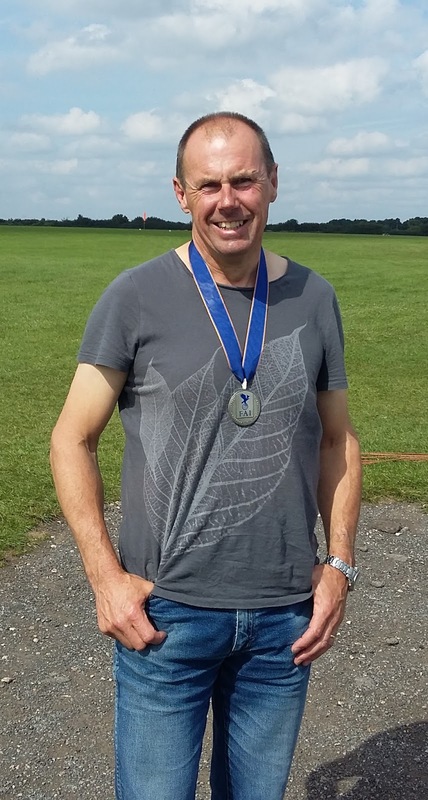 Today was the final day of the 19th FAI European Gliding Championships, held at Lasham, and the Brits did very well indeed. Booker's Tim Scott performed brilliantly throughout the week, winning one day and achieving Silver overall. Congratulations Tim! 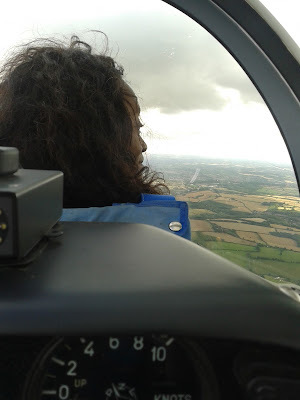 The weather much improved for flying, but not a particularly great soaring day. The 2 seat trainers were busy all day with loads of training and trial lesson flights. 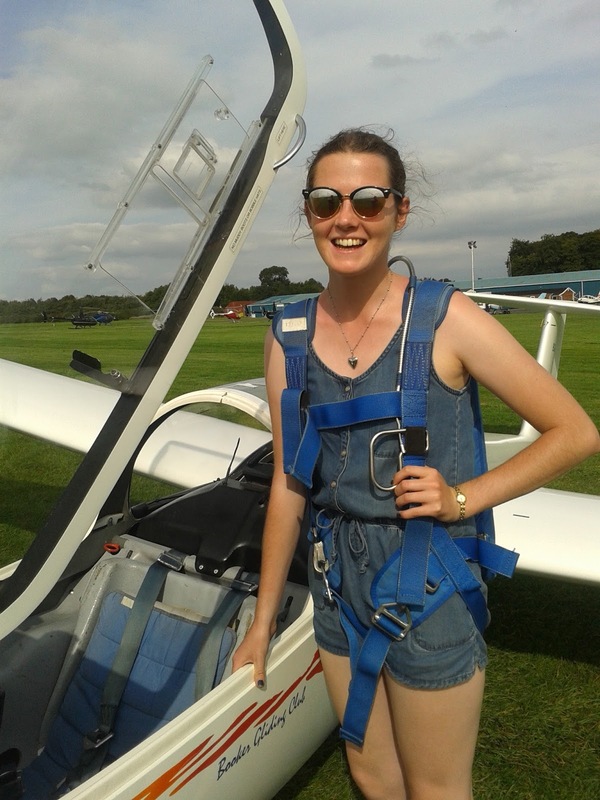 Light westerly winds and weak thermals were a good combination for local soaring. 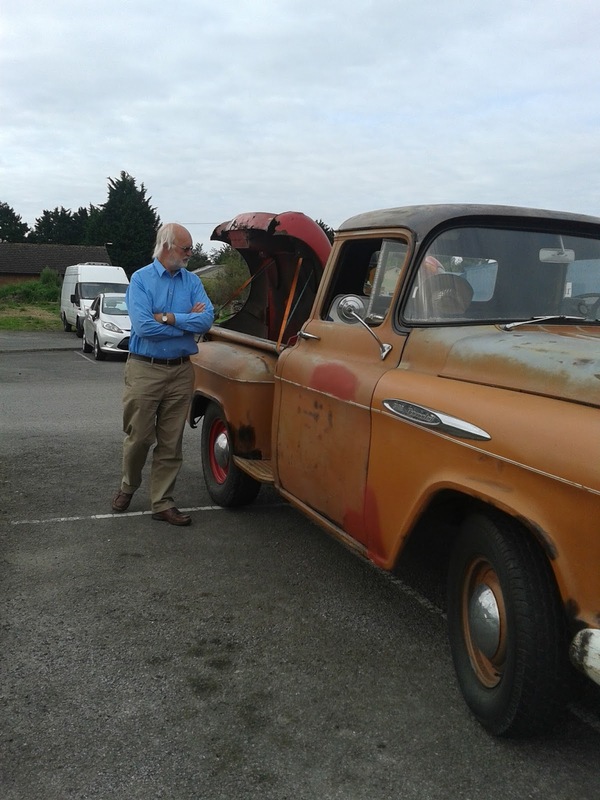 Chris eyeing up a potential new vehicle? This Chevrolet truck appeared in the car park, it will suit Chris we think. Jacqui Warner getting ready to experience her first flight in a glider, Jacqui quickly learnt the basic skills and found herself flying around with some guidance from the instructor. Well done Alex Mann for his first solo in a glider. Alex has a PPL and has been on a conversion course. 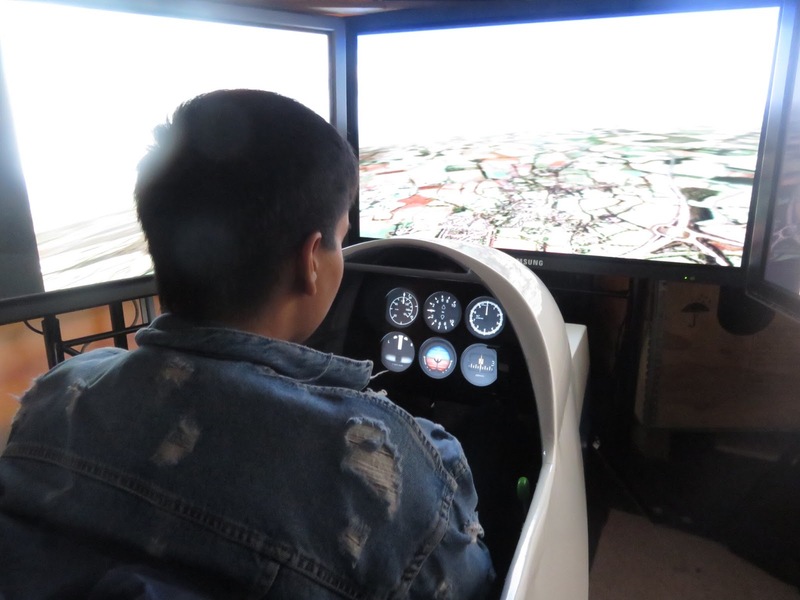 For Alex this is part of his broader training to become a professional pilot. A great day, more tomorrow? 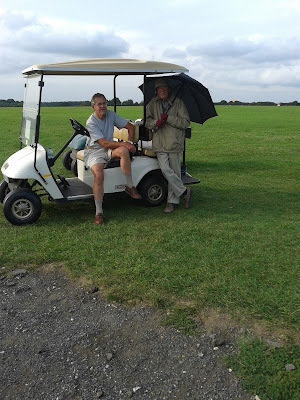 21-23 August - very mixed weather but busy at the club. 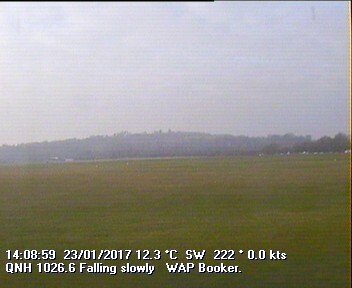 Monday, not flyable due to low cloud and light drizzle. John and Jane spent yet another day in the classroom and we covered a range of topics including the weather and principles of flight. A fun day punctuated with tea and chocolate biscuits. 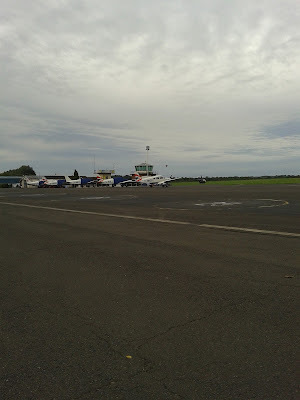 Tusday, low cloud during the morning and flyable pm. Mike (PPL conversion) spent time in the classroom reviewing the principles of aerotow and spinning before having a go in the simulator. 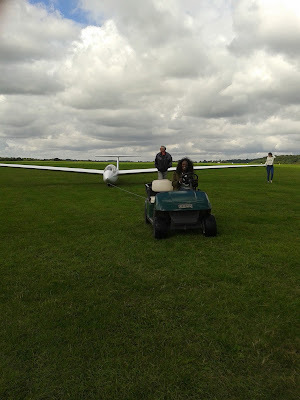 Sadly Mike needed to leave before it became flyable. The afternoon brought better conditions and Alex Mann continued his PPL conversion, while Richard flew with several of our trial lesson visitors. Lots of smiles at the end of the day. Alex Mann (above) to put a face to the name. Alex is doing some extensive aviation training and building hours for a CPL. He sees gliding as a useful skillset to help his career. Wednesday. Another cloudy morning clearing in the afternoon. Nick Markert spent some time in the classroom looking at the theoretical aspects of basic instruction and then we managed to get out on to the field to put the principles into practice. Richard entertained several students with his instruction, lots of giggling and fun. The day ended with the evening group taking over and using the pleasant evening conditions. Mixed weather today with strong winds and heavy showers forecast. The Air League group presented the club with a card, a bunch of bananas and some beer. That was very kind, thank you all very much. 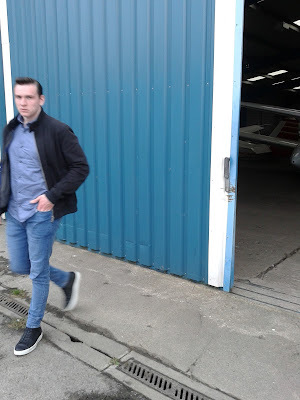 To quote the course members: "The most fantastic experience of our lives, thank you Booker"
To quote our CFI: "A fantastic group of students who did really well in some sometimes very testing weather conditions". The weather will hopefully be kind to the course. A frontal system just passed us, the cloudbase is expected to rise during the morning and be reasonable pm. Turned out to be a very good afternoon with 20 knot winds at flying heights. Strong thermals and streeting. 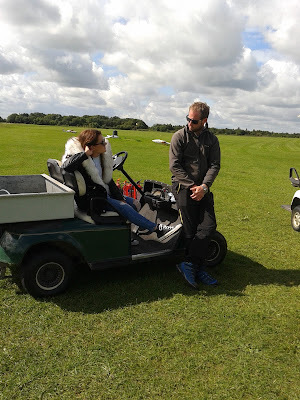 The course is proceeding well with a visit from Mel who was filming some of the activity for the Air League and Andy Perkins who popped in to say hello and see how the course was progressing. 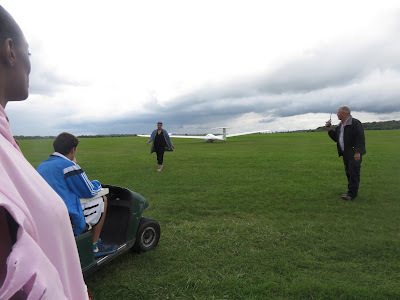 Steve in his creative way managed two real launch failures - an indication of how difficult the conditions were for aerotow. Thulani was with Steve and took the launch failure in his matter of fact way. 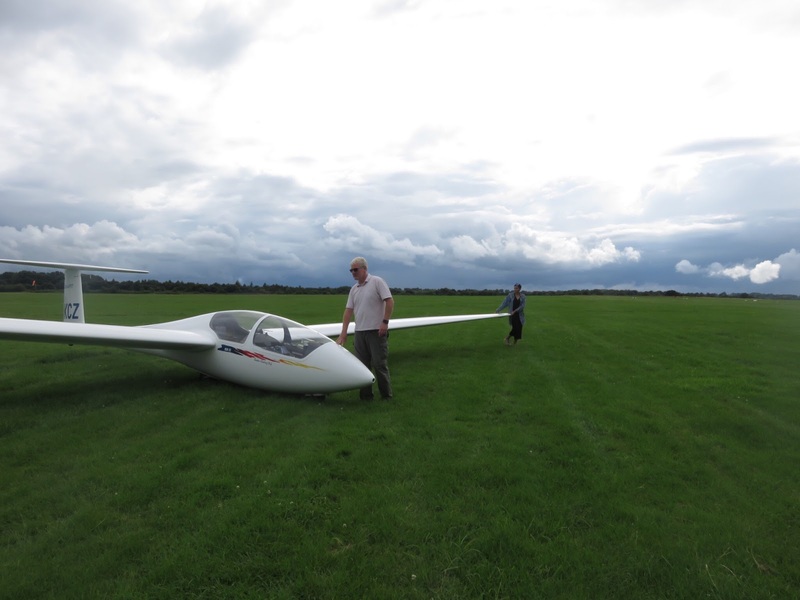 The strong winds meant we were unable to progress those nearer solo and get them off on their own. 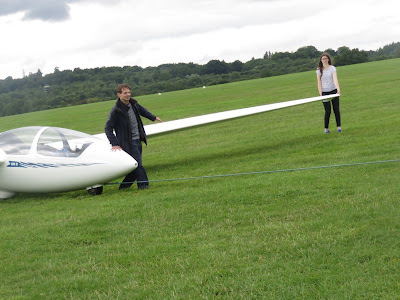 The whole course can now fly gliders and land them, circuit planning and aerotow launches need some polish - sadly time is against us. Well done to Cara, Becky, Mwila, Alyscia and Thulani, a very tiring and productive two weeks. The weather was soarable for a good part of the day, with a frontal system approaching from the west. 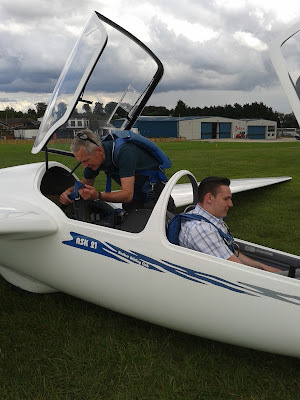 Flyable all day with a fair number of single seaters preparing for various tasks, and Graham Saw out in his yellow peril treating us to a series of air displays as he preps for the comp. 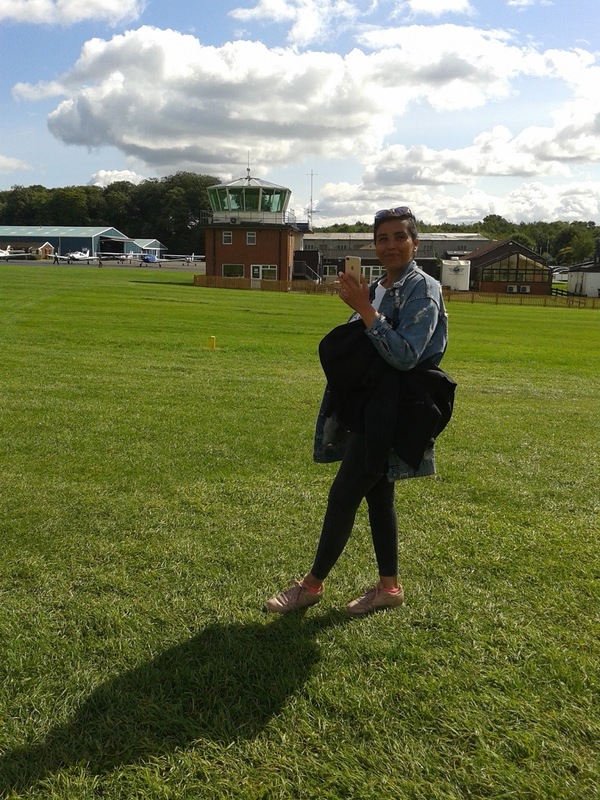 Early in the morning we were treated to a sight of a balloon landing behind the trees at Wycombe Air Park. My best guess is he was trying to get a top up of hot air from the clubhouse - but couldn't quite make it. The Air League Course continues to progress. 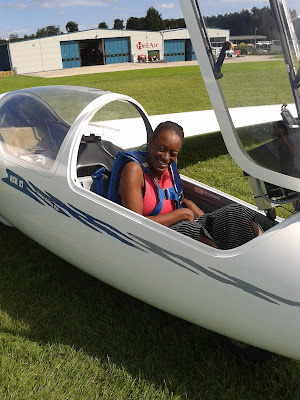 Mwila is shown here preparing for her next flight. Mwila started from zero at the beginning of the course and is now handling the whole flight with occasional prompts from the instructor. Well done. 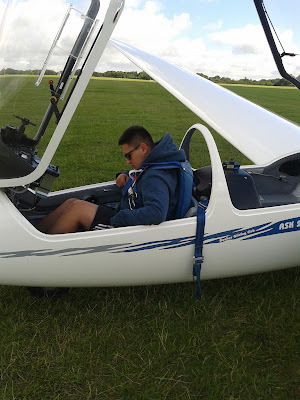 While the Air League group was getting on with week 2 of their course, various single seaters set off to explore. There were 6kt thermals to be found, but also areas where nothing much was happening, resulting in a bit of engine work, a couple of visitors to Bicester for an aerotow, and a Pawnee retrieve from a field near Swindon. Nice views though. 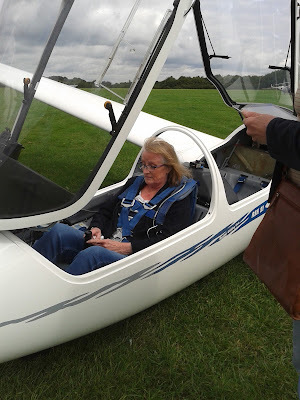 Thursday and Friday - flying at last. 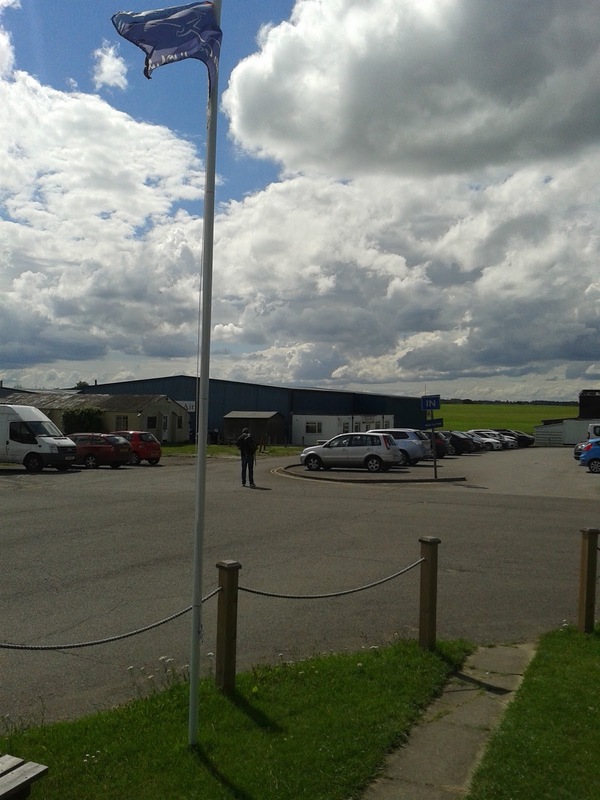 Much improved weather and the Air League have 2 busy flying days. 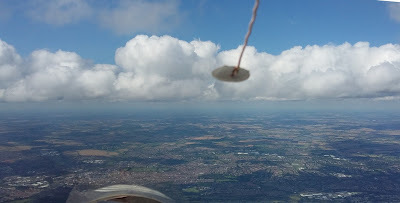 Thursday brought a number of 15m gliders out for an airing. Strong thermals albeit broken at times. 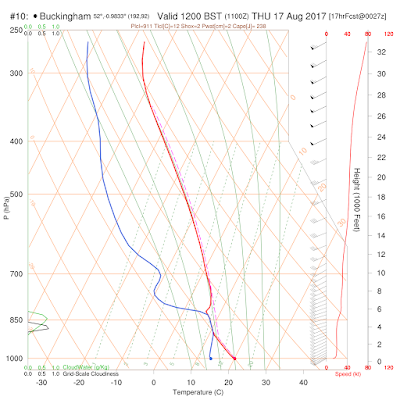 Friday brought a mixture of early good weather with good thermals and an approaching front that brought lower cloud and cooler weather. 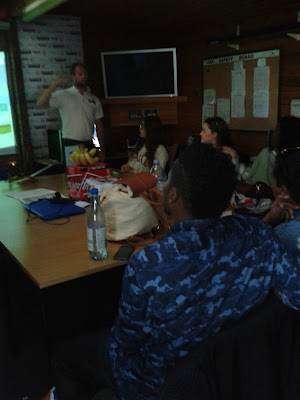 Richard at the morning briefing explaining how the weather front will affect the day. The motor glider getting ready for departure during Thursday's training. Very many thanks to all the tug pilots and helpers, and especially to Henry Ross who selflessly gave up a week to help us keep the course going, even when the weather was dreadful. Let's look forward to another good week next week. The weather was pretty awful with low cloud and rain all day. Richard gave us a talk on circuit planning and approach control, Henry gave practical tuition in Daily Inspection procedures. 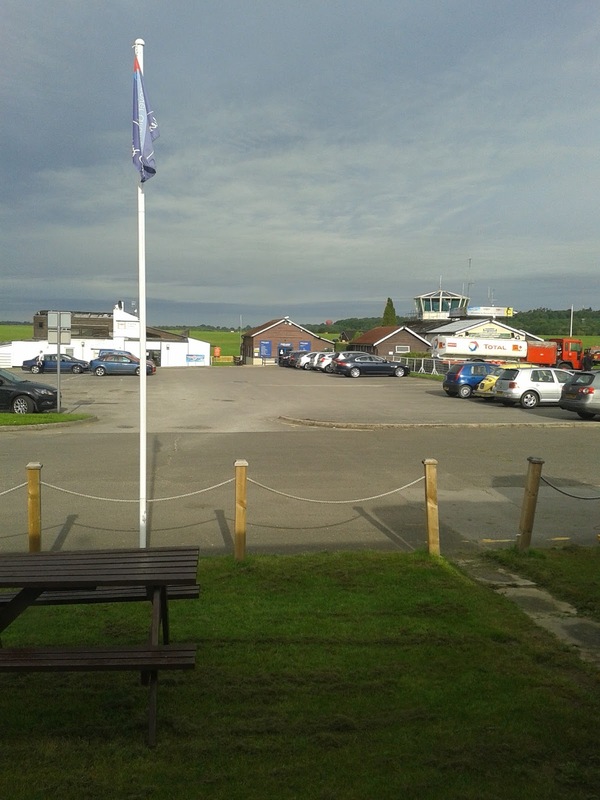 Then a visit to the control tower to help understand how that all works and then back into the classroom for a talk on stalling. Before we knew it, it was time to pack up and go home. Looking forward to a great day tomorrow - we may even fly! Low cloud and rain meant we were unable to get flying. 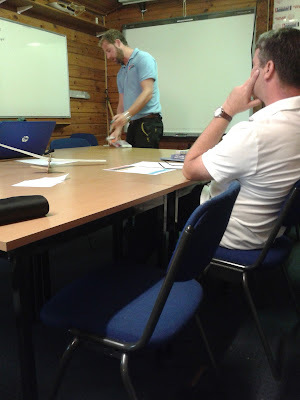 The day was usefully spent with a series of talks and getting the basics clear in readiness for flying. Henry Ross gave our course members a training session in the flight simulator. Great fun for everyone involved. Thanks Henry. Tomorrow looks like more briefings, including Daily Inspections, circuits and stalling. 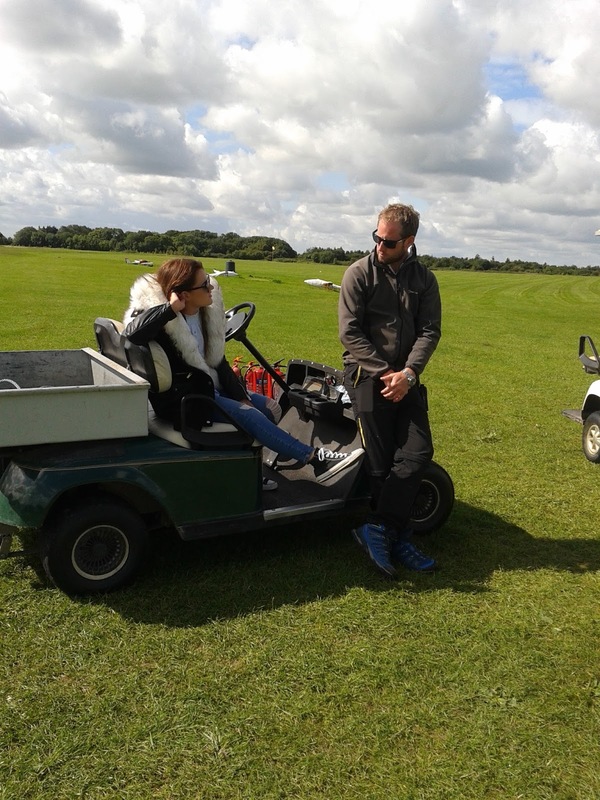 These pictures are from yesterday - Nick and Henry getting the course underway . Monday afternoon cleared sufficiently to get some launches done. 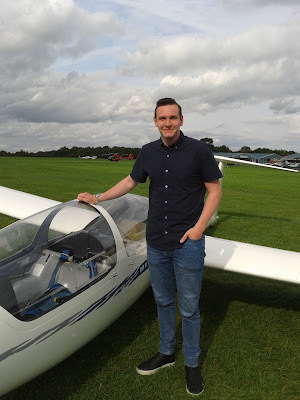 Congratulations to Lincoln Hirst on his first solo, and half an hour's soaring to boot! Well done! Isn't this what summer is supposed to look like? 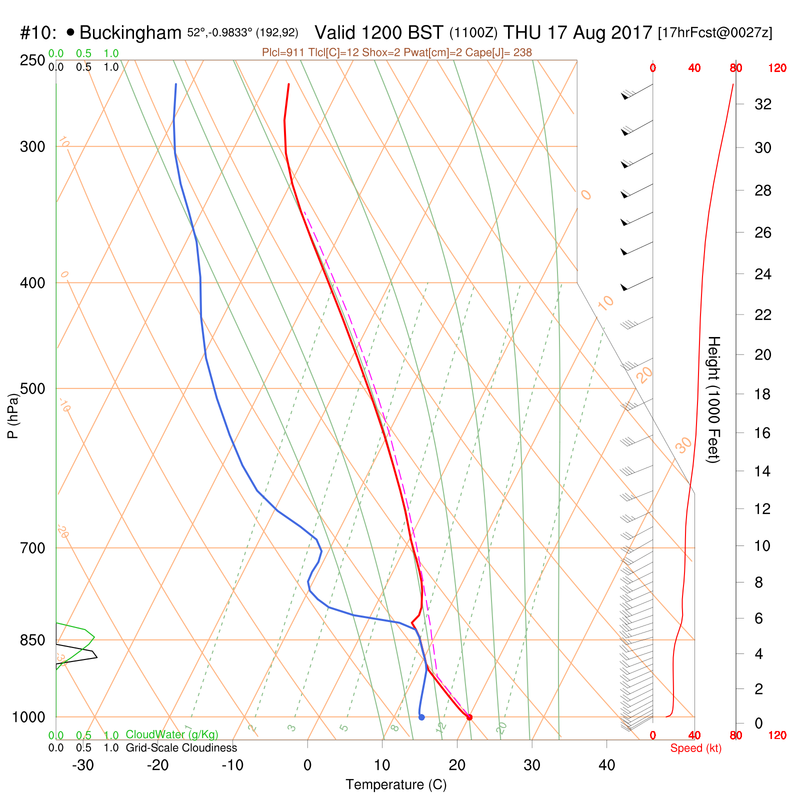 Winds at 1000ft QNH forecast at 35 knots with gusts of 10-15 knots. 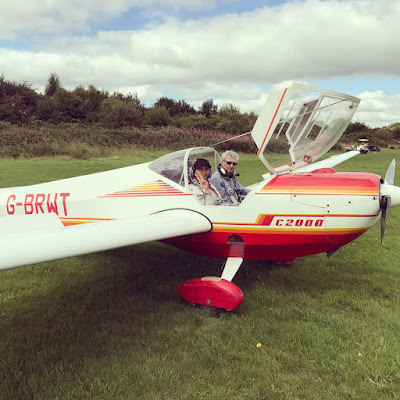 Just a little too much for the early pilots to practise their flying skills, so it was into the classroom for the second day. 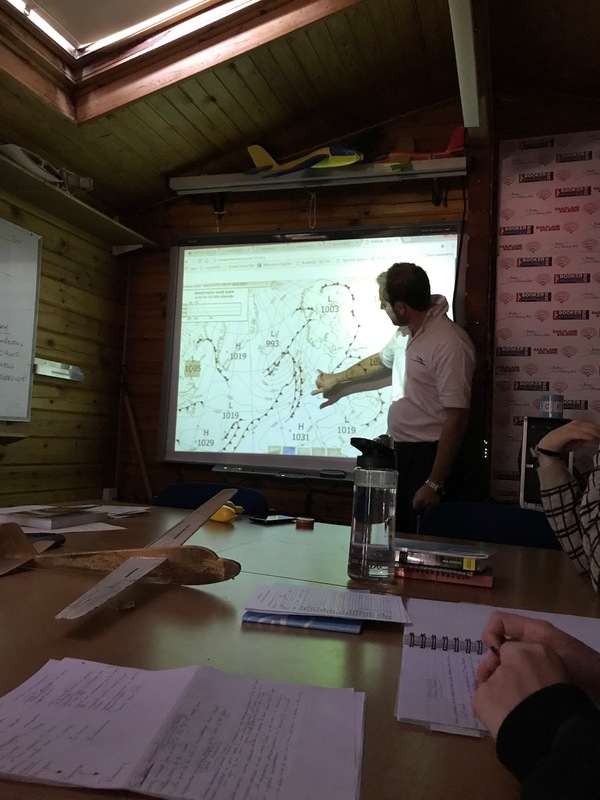 Topics covered were Stalling, Daily Inspections, Airbrakes and Approach control, Circuit Planning and practical navigation in preparation for the Bronze C exam. It was great to see so many enthusiastic trainees joining in - good fun. We saw the strangest thing outside the workshop, we know they are brilliant engineers - but surely this will be just a little too difficult to get into the air? 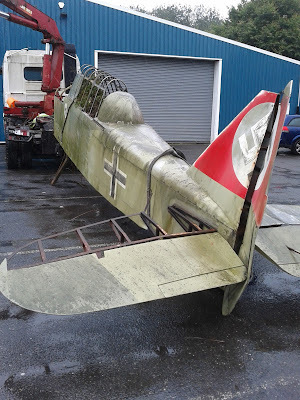 This is the aircraft prop used in Harrison Ford's "The last Crusade". The cockpit is now full of brambles but in the film it was seen roaring through the tunnel with flames. 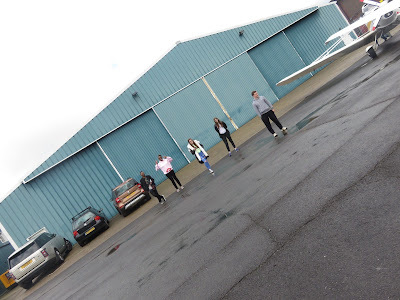 We kept ourselves going at the club with loads of groundschool and several pots of tea. 1 August - Is it summer yet? The weather was cycling rather quickly. Rapid over development followed by a few light showers and overcast, clearing through every few hours and all happening again. Some good local soaring at times (a reward for the persistent). 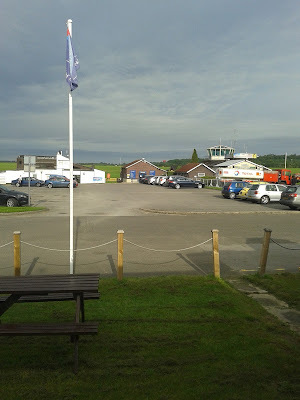 The day started with a short brief at 8.30 and then out on the field for some early flight training. 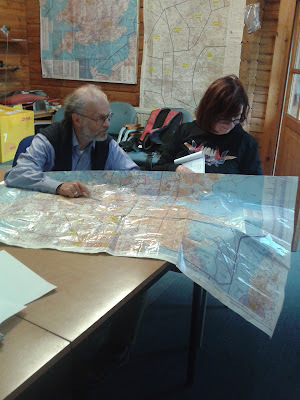 many thanks to Jim, who volunteeered to fly the Pawnee all day and keep us moving along with his enthusiasm. 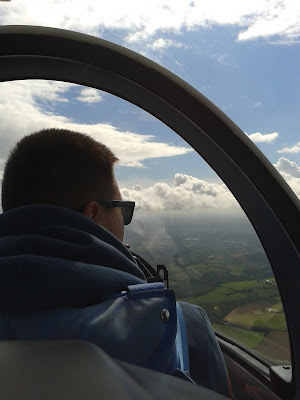 Louis Mattey continued some intensive training, trying to get to grips with the aerotow and experiencing the fun of spins in the K13. Welcome to James Clare, our new pupil. James is a lock keeper, how is that for an unusual job? James has embarked on a flexi course to get himself solo and beyond. Paul getting ready to take Alex Mann on his first trial lesson. Rumour has it that will not be the last time we see Alex. Many thanks to Paul and Nick for flying with our trial lessons today. The day ended with ground school covering circuit planning and approach control.